We will use theatre, music and painting to awake creative-artistic forces in teachers and make those forces inseparable part of their teaching methodology. This training will help participants to find , explore and nourish the passion for teaching. It will try to ‘polish’ teachers personal way and style of teaching, incorporating methods used by artists standing in front of the audience !!! This will help teachers find their ‘own voice’ and ways of approaching difficult groups such as adults, disabled, social minorities, etc. With work practice through painting, music and theater by facilitating the affinity of participants for different art forms. The main ‘guide’ of the course will be Vasilij Kandinskij , who in his theoretical works sees a close connection between the work of art and the spiritual dimension. The color, shape, word and the music have physical and psychic effect, where it’s psychic effect is due to the spiritual vibration through which it reaches the soul. Combining different art forms results in bringing out the ‘inner tension’ or spiritual energy which can be ‘transferred’ on audience-students. Teachers are conductors and the class is their orchestra. All students play different instruments A teacher’s job is to develop skills and make these instruments come to life as a coherent whole to make Music !!! The course will be held at ‘Fatalamanga Art Farm‘, near Alberobello (Bari) in the region of Puglia (Italy). The course will have morning and afternoon session, with lunch break at the Fatalamanga Art Farm. 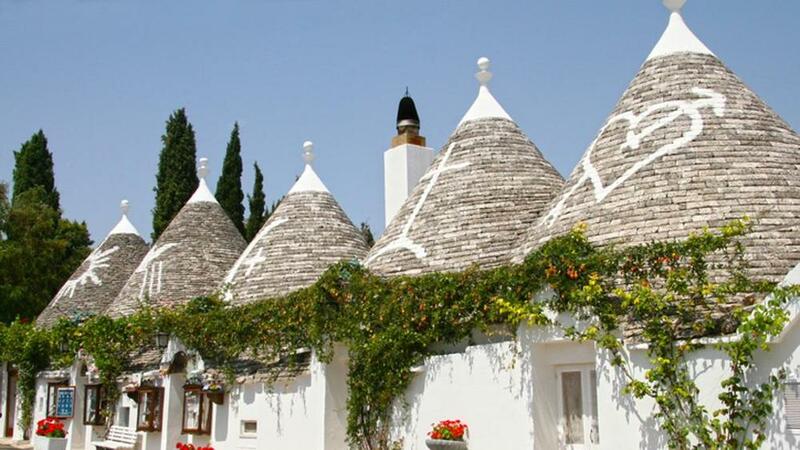 Participants will have option to stay in a Hotel located in the center of Alberobello, famous for its unique trulli constructions and part of the UNESCO World Heritage. A presentation of participants and the teachers. This is a cornerstone in setting up a friendly and a supportive environment which will be essential thru out the coarse. Introduction to Kandinskij’s ideas. After teachers presentation the discussion will be initiated from which we would like to hear from each participant how much, if any, of those ideas they knew even before reading Kandinskij’s book and if any of them were already used in their teaching practices. 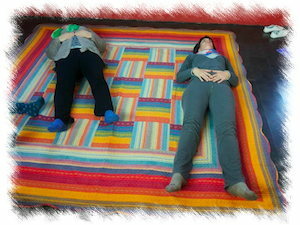 Hatha Yoga: introduction to Hatha Yoga. Introduction to Philosophical Painting : Theoretical part of Philosophical Painting presented by a teacher. Color and the shape, movement by the hand. What is that drives a hand to go to one or other direction ? Is it coming from the mind or from the heart ? Which one gives ‘better’ result ? How to distinguish one from another? Find your preferred color (it may not be the one you thought it is). ‘Many hands’ work on one picture. 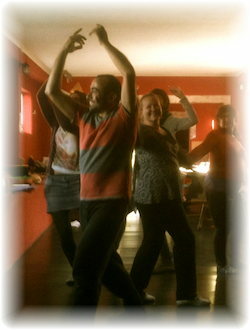 Theatre activities: “Group Exercises” and “Figure on the stage”:how one’s figure looks and feels on the stage (classroom) ? “Hear Your Voice” part I: participants will individually enter the recordingstudio and read a text which will be recorded. “Hear Your Voice” part II”: Listening of recordings by participants. Their own impression of their voice coming ‘from the other side’. “Interpret the Music”: how will your reading of the same text be influenced (or not) if accompanied by a music? Theater exercises with focus on Voice. Exercises to open the voice and improve rhetoric abilities. 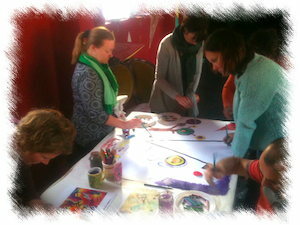 Participants choose one of 3 groups to participate, Theater, Music or Painting. Divided groups work on a small project. All groups get together and continue to do their activity but this time, in connection with the other groups. “Tell Others”, this session is reserved for anyone who can contribute to the previous sessions by teaching others something that he/she thinks can be useful to others. Evaluation of the course. A time for everyone to express their impressions of previous 6 days. Group evaluation and a time for additional questions. Establishing the ways of continuation of collaboration.